Half square triangles mimic the look of "diamond tread" steel. 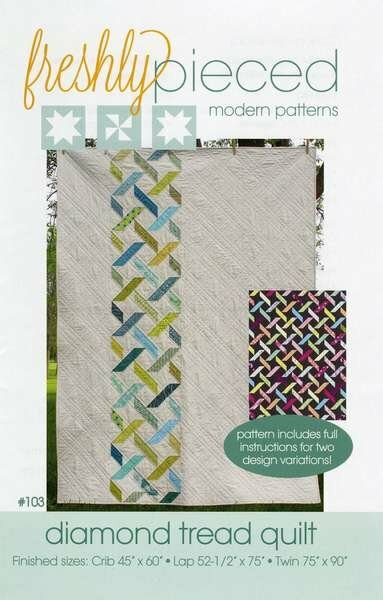 Pattern includes instructions to create two design variations One with negative space and one with an allover pattern. Finished sizes: Crib 45" x 60" Lap 52.5" x 75" Twin 75" x 90"